Turkish hacker "TurkGuvenligi" hijacked some 350 Israeli websites on Sunday evening, launching a Domain Name System (DNS) attack on at least seven high-profile websites including The Telegraph, Acer, National Geographic, UPS and Vodafone as well. Visitors to some of the sites were diverted to a page declaring it was “World Hackers Day." 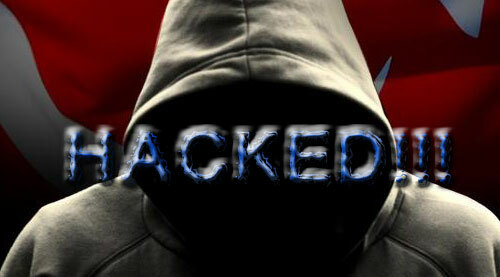 Hackers calling themselves the "TurkGuvenligi group" calimd the cyber-attack. "TurkGuvenligi translates as "Turkish security." "The hack represents a 10%-15% spike compared to the average number of daily hacks of Israeli websites," Shai Blitzblau, head of Maglan-Computer Warfare and Network Intelligence Labs, explained. Israel's military and security establishment has invested significantly in cyber-warfare programs in recent years and is considered one of the most advanced cyber-warfare forces in the world, both in attack and defense modes.The Stuxnet virus that downed systems at Iran's Bushehr nuclear reactor to a halt for over six months is widely believed to have been the result of an Israeli cyber-attack, although Israel has not admitted it.